Flyfishing97.com is a podcast dedicated to flyfishing and a way of life. We are committed to conservation, exploration, and innovation in all things flyfishing. We host interviews with flyfishing guides, talk about dream destinations, the latest gear, fly tying, entomology and tell plenty of fish stories. Every angler has a story and we try to capture the best conversations with the most passionate people in our sport. We take a no-nonsense approach to flyfishing that promotes inclusion of all and encourages the sharing of knowledge with everyone who enjoys this great sport. 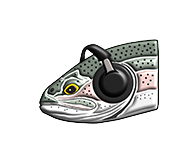 Have a listen, and share time on a shoal, shore, or river near you. © 2018 FlyFishing97, all rights reserved.